These are a OEM Honda accessories.Nevermind the cheap mats you get at the store.These are moulded to fit the contour of the floor.Comes with both front and rear mats.There black and they have the Civic logo.I only used them for half a winter last year so there in MINT condition!! I paid $140 for the set so I'd like to see at least $60 for them.They keep all the salt and sand on the mat not on the carpet.They fit both 2 and 4 door models.I'm located in Barrie but I'm making my way to Vaughn and then to Hamilton on Sunday so I could meet you somewhere if your interested. 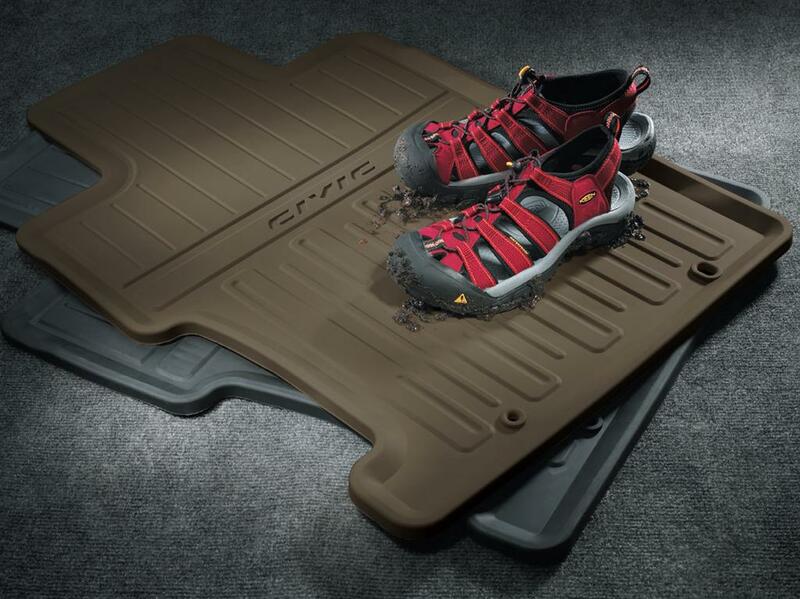 These all season mats provide the ultimate in carpet protection. The tough rubber material has a long life span and can easily be cleaned with mild soap and water. Mat ridges help keep dirt, sand, mud and water from getting on your carpet. Ribbed backing and mat anchor holes keep them in place. Custom molded Civic logo. 2 front mats and 1 full length rear mat included. Black. 2006-2010 civic coupe oem car cover. P195/65/15 Winter Tires + Rims!